The most meaningful holiday gifts in Memphis. Shop local and join the holiday tradition of giving gifts that help seniors and families with basic needs to stay in their homes. 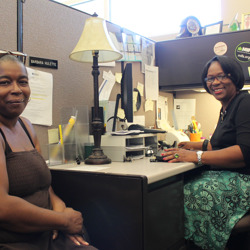 These gifts sustain MIFA’s vital mission of supporting the independence of vulnerable seniors and families in crisis through high-impact programs. Browse our catalog options below – give, donate, volunteer. Honor your friends, family, or business associates with a gift that supports our most vulnerable neighbors. Choose from the options below or call (901) 529-4502. Many companies match charitable gifts from their employees, which could double or triple the impact of your giving. Please ask your employer about matching gifts. Send us a list of those you wish to honor, and we’ll take care of the rest. Our volunteers will handwrite your personal message, address each card, and drop them in the mail. 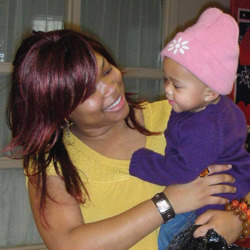 Participate in Memphis’ original nonprofit holiday card program. This year’s card art (pictured) is designed by Memphis artist Leslie Barron. For timely delivery, submit your order by November 23 for Hanukkah and December 18 for Christmas. 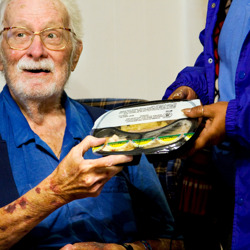 Volunteers deliver care packages to seniors with their meals on Christmas Day. Assemble at least eight of the items below in an 11” x 14” decorative gift bag and deliver to MIFA at 910 Vance Ave. weekdays between 9 a.m. and 4 p.m. Deadline for Christmas Day delivery is December 19. Blanket, stationery, postage stamps, calendar, winter cap, sweater, t-shirt, socks, mittens or gloves, puzzles/crosswords, lotion, flashlight, lap robe, hygiene/toiletry products. No candy or razors, please. Looking for a volunteer project between Christmas and New Year’s? 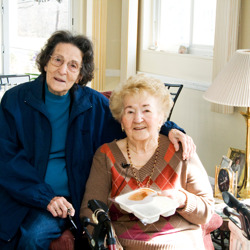 Volunteers are needed at that time to deliver Meals on Wheels to our homebound senior clients. For information, contact Candice Ivy at civy@mifa.org or Kristi Estes at kestes@mifa.org.